Proactive engagement in sell-side due diligence prior to a merger or acquisition is a step often neglected by companies contemplating an approach to the market. While acquiring companies will do their own due diligence, an acquisition candidate that commits to its own comprehensive discovery process will be better equipped to identify strengths, recognize limitations, and, ultimately, realize maximum value from a sale or merger. To the extent that an acquisition candidate identifies and aligns its strengths with these objectives, it will exact a premium sale price. And to the extent that it identifies and acknowledges its own limitations related to these objectives, it can take corrective action to become more valuable and more attractive. § Strengths are identified, documented and emphasized during negotiations. § Limitations are identified and corrected before or reported during negotiations. § The selling company is fully prepared to provide information rather than respond to requests. § When the buying company makes a low offer, the selling company can stand firm and document why. § Thorough preparation and reporting can support a faster negotiation process. § Comprehensive assessment and disclosure can support an atmosphere of transparency and trust. § Potential buyers can sense that risk is mitigated as there are less likely to be post-close surprises. While the slow-recovery, slow-growth economy continues to impact profits, there are positive factors like low interest rates and easing credit markets that are making consolidation activity attractive again. A business that actively prepares for the process better controls the desired outcome: the best possible price and terms upon sale. A company that is considering making itself available for merger or acquisition can benefit from engaging the services of a firm with professionals who have participated in mergers and acquisitions from both the sell and buy sides. 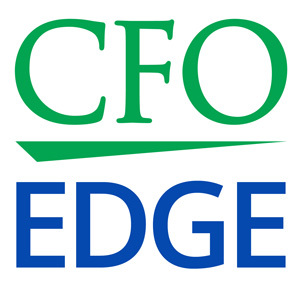 An outsourced CFO services firm, for example, can provide a formerly seated chief financial officer who can bring expertise, capacity and exceptional value to the M&A preparation process.